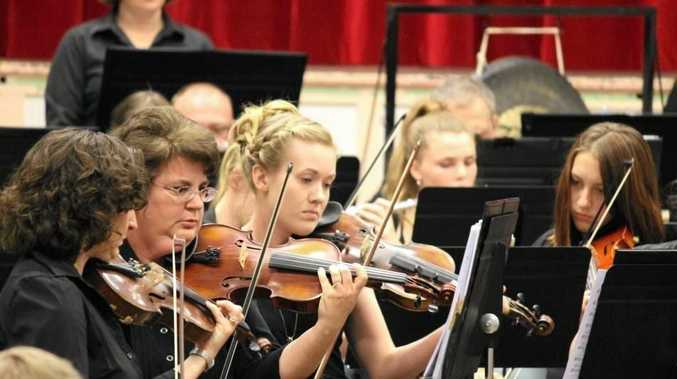 The South Burnett Community Orchestra will play at the concert to mark 100 years since WWI. MUSIC, history and dance lovers will be in their element this weekend as the community gathers to commemorate Armistice Day. Nanango RSL will be hosting the 100th anniversary Armistice Day Ball on Saturday, November 10, from 7.30pm to midnight. Manager Sheena Lindholm said it was very important for the Nanango community to gather for the event. "We're looking at it as post-war Hollywood glamour for people to come together and commemorate the 100 years since World War I, which is hugely significant in our history,” she said. Seven-piece band Swing Magic will play, there will be games such as monte carlo and raffles for memorial bears. People in traditional military uniforms will greet those who attend the ball in their semi-formal wear. "It's about people coming together and sharing their stories, and generally being thankful for the country we live in today,” she said. Tickets are still available to be booked for the event. Phone the RSL on 4163 1375 for more information. Kingaroy will also be commemorating Armistice Day on Saturday night with a special concert by the South Burnett Community Orchestra and a combined choir from 6pm. Tickets are $60 each for the three-course meal, which will accompany music from the past 100 years. Tickets are still available for the Armistice Centenary Commemoration Gala Charity Dinner Concert. Email sborchestra@hotmail.com or phone Caz on 0418 846 067.